This is my attempt at recreating “Leisure Center” from the game “Anno 2070”, developed by Bluebyte Studio and published by Ubisoft. I tried to stick to the game as much as possible, with interiors done according to structures seen in the monument’s building stages. 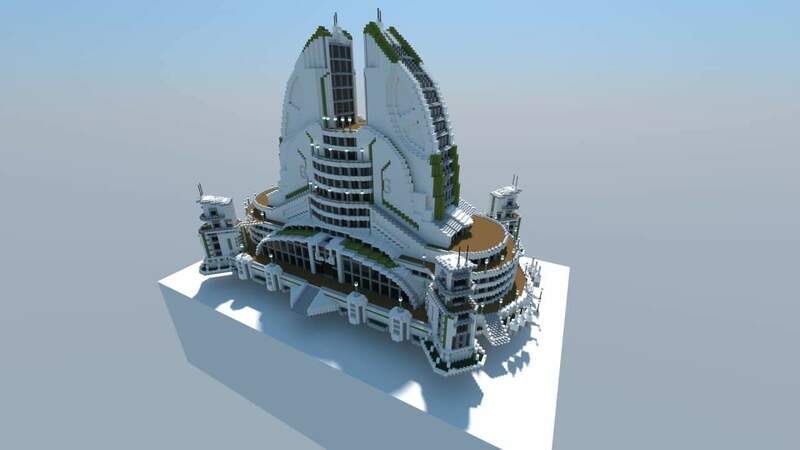 I was inspired to build this by the Eco City project done by Orion 9596, however, none of his (her?) work was copied. This project was done all by myself, and took about 4 months to get here. The exterior is 99% done and the interior is about halfway there. You can use this structure for single player purposes (include it in another project, admire it and modify it in single player mode, make a adventure map out of it, etc). If you do, please credit Vizor. HOWEVER, YOU ARE NOT ALLOWED TO USE THIS IN ANY KIND OF SERVERS.